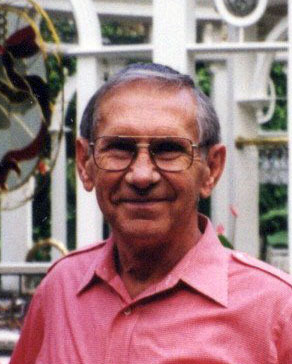 Obituary for Roy Donald Kats | Langeland Family Funeral Homes, Inc.
Roy Donald Kats, 88, of Kalamazoo passed away Thursday, April 11, 2019. He was born February 28, 1931 in Firth, Nebraska to the late Cornelius and Anna (Wissink) Kats. Roy enjoyed woodworking and working on cars. He especially enjoyed his 1923 Model T. He loved to tinker with everything. He also enjoyed travel and golfing. Roy loved his church, Haven Church; he even helped on the project to build the new church on Sprinkle Road. Roy was united in marriage to Betty LaPorte on May 16, 1969, who preceded him in death after nearly 40 years of marriage. He was also preceded in death by his parents; daughter, Deborah Kats; and grandson, Brandon Mellema. He is survived by six children; Kathryn Yucker, Sheryl Sullivan, Pamela Mellema, Laura (Bob Jr.) Barnes, Alan Kats, and Rebecca (Mike) Gerome; 12 grandchildren; and 3 great-grandchildren; and a special friend/caregiver, Donna Brown. Family will receive friends Thursday, April 18 from 5-7:00 PM at Langeland Family Funeral Homes, Memorial Chapel, 622 S. Burdick St., Kalamazoo, MI 49007. A funeral service will be held Friday, April 19 at 1:00 PM at the funeral home. Interment will be in Mt. Ever-Rest Memorial Park South. Memorial donations may be made in Roy's memory to Reverence Hospice.